Ciaz is among the highest selling popular sedan cars in India. 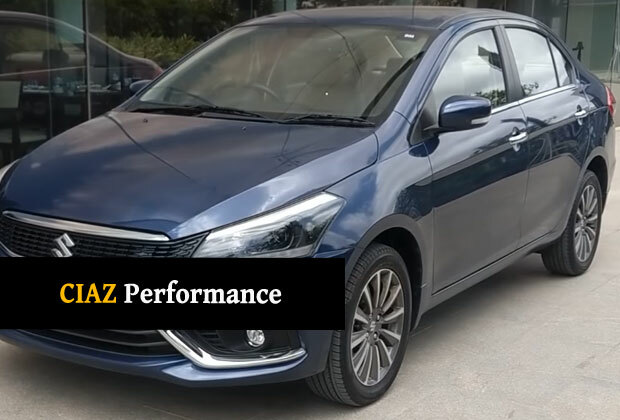 In the new Maruti Suzuki Ciaz 2018 facelift model, the company has introduced a new engine in the petrol variant. The car also received cosmetic updates and refinements. 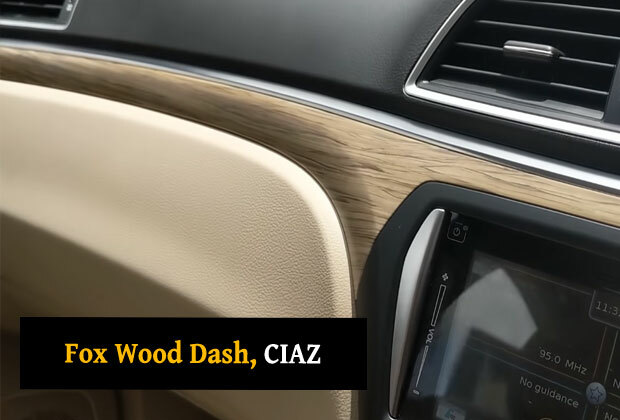 The 2018 Ciaz car was launched with a starting price of Rs 8.19 Lakh (Ex-Showroom Delhi). The new Maruti Ciaz model has also received enhanced standard safety features especially seat belt and high-speed alert system. The competition in this premium sedan was already intense with the launch of updated Honda City, Hyundai Verna, and Toyota Yaris. As a result, Maruti was forced to introduce this facelift to retain its premium and contemporary sedan status. Not to forget, Ciaz had not received any major update since 2014 when it was launched first. The car is now back with a new look, posture, and engine! 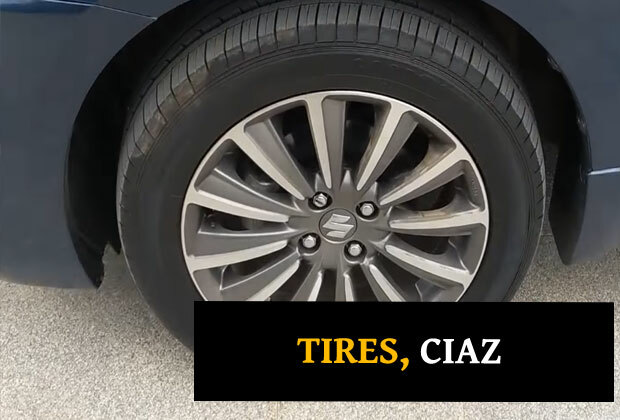 There are two major changes in the engine of new Ciaz. Firstly, a new petrol engine has been introduced and secondly, SHVS technology has been more refined. Maruti has dropped the old 1.4-liter petrol engine that it was using in 2017 and earlier models of Ciaz. The new Ciaz uses 1.5 litre K15 hybrid petrol engine for power. The replaced new engine in Maruti Ciaz of 2018 is claimed to be more powerful generating 13% more power and 6% additional torque. The vibrant petrol engine of car outputs 103 BHP (at 6000RPM) of power and 138Nm of Torque at 4000RPM. The move will definitely help Ciaz take on its competitors with Hyundai Verna using 1.6-litre petrol engine while Honda City with a similar 1.5-litre engine. The other important thing to notice is that all petrol variants of Ciaz are now equipped with SHVS fuel mileage enhancing technology. 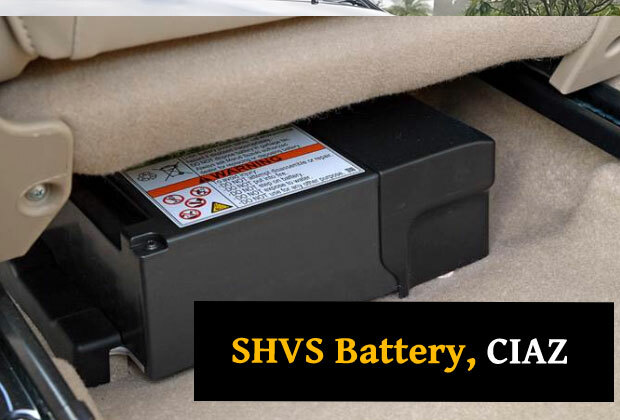 In SHVS hybrid technology, developed by Suzuki, a battery operated controller stops engine when the vehicle is at standstill and restarts it when the accelerator is pressed. The company this year has claimed that in the new Ciaz, a new compact lithium battery has been used which has a longer life as well. There has been no change made to the engine of Ciaz diesel engine variants of 2018 facelift. The sedan uses the same 1.3-litre diesel engine that was there in 2017 model. 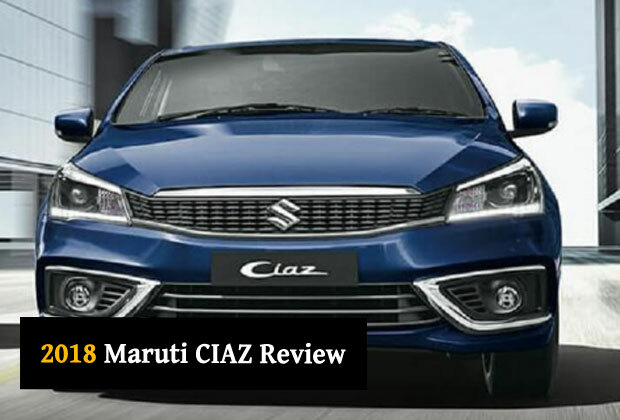 The rivals of Ciaz, on the other hand, use a more powerful engine and that is a cause of concern for Maruti. So, While Honda City is equipped with a 1.5L diesel engine, the other one Hyundai Verna has a powerful 1.6-liter diesel engine. But one thing that runs in the favor of Maruti Ciaz is that it is longer and wider than both the competitors in the segment. The face and posture of the new facelifted Ciaz 2018 are completely different from the old Ciaz. Maruti has felt that Ciaz buyers also give preference to the looks while buying. Keeping this in mind it has made changes to the design of new Ciaz. 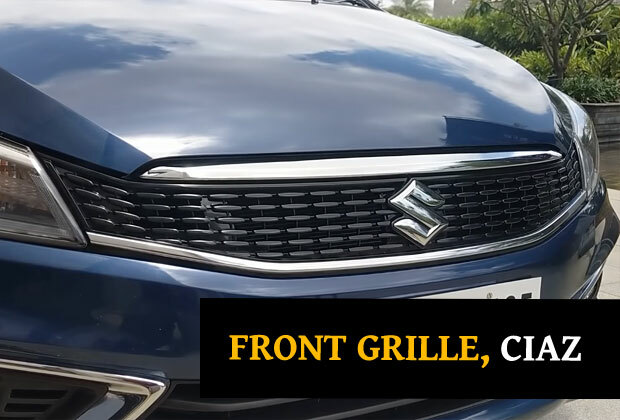 Unlike the older Ciaz, this one has a slim and noticeable front grille and says goodbye to the 4-slat unit. Under the new updates, it has received projector headlamps with DRL. It has LED fog lamps and LED-combination tail lamps. Just to remind you! The automatic LED projector headlamps and LED daytime running lights (DRL) comes with Alpha and Zeta variants only. The front and rear bumpers have been redesigned, especially, the bumper has received black & chrome inserts. The rear side also receives a reworked badging and detailing of the tail lamp. 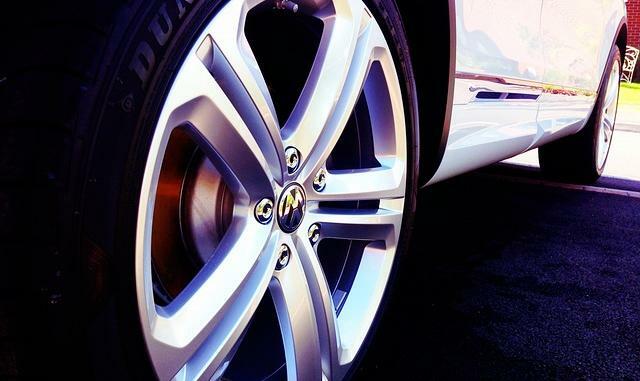 The car’s top variant has been given dual-tone 16-inch alloy wheels while lower trips have 15-inch wheels. Not much has changed in the interior of the new Ciaz facelift model as compared to the previous year model. The changes in the interior finishing, however, can be noticed. The previous year model of Ciaz had glossy interior and the new Ciaz facelift has a matte interior look. The dashboard reflects a premium look due to the use of light fox wood trim shade. The cabin look seems more refined and fresh in this update. There is an enhancement in the instrument cluster of newly updated Ciaz premium sedan. The steering control has been installed with a cruise control button. Being the longest premium sedan car in the segment, Ciaz has its own benefits. This is because a longer wheelbase enables more space for front and rear passengers with enough legroom space. However, it has low roofline which makes slightly difficult for tall passengers to slide in. The company claims that new Maruti Ciaz 2018 facelift model delivers a mileage of 21.56 km/l in manual petrol and 28.09 km/l in diesel version. The absence of an engine upgrade in diesel variant definitely disappoints potential buyers in India. While the petrol engine of new Ciaz performs nicely on city roads, when you operate it on higher speeds, a noise passes into the cabin. The recently updated Ciaz by Maruti has also a paid special attention to the safety features. The driver and front passenger find the speed alert system and seatbelt alert, a very handy feature to escape accidents. So when the car hits over 80 Km/h speed the system beeps 2 times in a minute. If you cruise your car past 120 Km/h, the beep plays continuously. A recent study has revealed that 75% of car owners do not use seatbelts which causes 15 accidents, every day, in India. The seatbelt alarm will possibly reduce this percentage in Ciaz drivers. 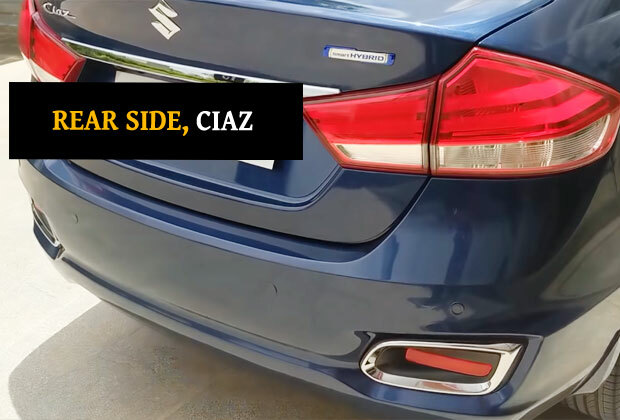 The new facelift of Ciaz 2018 also gets ESP i.e. Electronic Stability Program which improves the car’s stability by detecting and reducing the loss of traction. The other features of the car like – ABS, EBD, Traction control which enhances car grip on the road, Hill Start Assist which maintains the brake pressure for a set period of time when the car is on an incline are also mentionable. The diesel version Ciaz engine still lacks power with 1.3 liters (89BHP) engine. On the other hand, the rivals Honda City and Hyundai Verna have 1.5 liters (99BHP) and 1.6 liters (126BHP) engine. While Hyundai Verna has availability of automatic transmission in diesel 1.6-liter version, there is no amt version of Ciaz in diesel. Noise in the cabin at higher speeds. Overall, the new Ciaz has a better ride quality and safety feature than the previous one. The interior is improved and sends a feeling of freshness. However, the absence of a more powerful diesel engine is still a drawback.